WWFHA lost a dear friend on April 26th – Chris Colgan. WWFHA remembers Chris as the always-willing to help parent that was a superstar dad to his kids. Chris donated his time and energies to WWFHA without ever being asked, especially around his passion for sports photography. He also volunteered as the Goalie Director, bringing in such pros as Ian Gordon to train with the association goalies once a month. Chris was always there for his daughter as she grew as a goalie and young woman before moving to California. He was a kind, passionate soul and we will all miss him dearly. In Chris’ honor, WWFHA establishes the Chris Colgan Volunteer Service Award to be presented annually by WWFHA to recognize and honor the individual who most embodies Chris’ spirit and his extraordinary volunteer efforts demonstrated through his dedication, commitment, and positive impact as a WWFHA volunteer. Chris will be the first recipient of the award named in his honor. 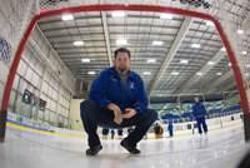 “Chris was one of those parents that made being involved in the sport of hockey enjoyable. 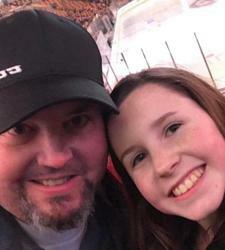 He was supportive and passionate about his daughter, he loved the game, and he did whatever he could to make each experience more positive for everyone. He quietly donated the WWFHA photo backdrop, video cameras, and goalie gear and helped without being asked. He also connected the association to Ian Gordon, a professional goalie coach who worked with the players once a month. The organization's best photos over the years have come from Chris and coaches benefited from his game videos. My favorite photos that he took were the ones that he took of his daughter with the US National Team -- both at the Four Nations Cup in Kamloops and at the US Team's practice in Everett. I love them because I knew Chris and Olivia were both on cloud nine. “In life I’ve seen many different types of parents. Some good, some bad. I can honestly say that I’ve never seen a father more devoted to his children than Chris. “Chris was a force of good at the rink and every time he greeted me he made me smile. His passion for his children is what I first admired about Chris; however, as I got to know him more it was his kindness, caring, and giving soul that clearly illustrated what an amazing person he was in all aspects of his life. WWFHA sends its deepest condolences to the Colgan family and encourages you participate in the Celebration of Life hosted by Chris’ wife and 2 children. Christopher (Chris) Edward Colgan, born on October 5, 1971 in Santa Rosa, California, to the late Margaret "Peggy" Colgan and Wesley Colgan, Jr., passed away at age 46 from an aortic dissection on April 26, 2018 in San Jose, California. Chris graduated from Montgomery High School in 1989. He spent the majority of his working career in the Fire/Emergency Medical Services. He proudly served the public as a Firefighter/Paramedic for the City of Oakland (CA) and City of Tulsa (OK). Chris's first paid position was for Bennett Valley Fire starting at age 18. He also volunteered as a Battalion Chief for the Geyserville Fire Protection District where he mentored many up and coming fire fighters. Chris and his wife Wendy Colgan were looking forward to their upcoming 21st wedding anniversary in May. He was preceded in death by his brother, Greg Colgan. Chris is survived by his son, Jacob Colgan; daughter, Olivia Colgan; brothers, Wes Colgan III (Erin) and Tim Colgan (Beth); and sisters, Jene Waud (Steve) and Tere Colgan (John). 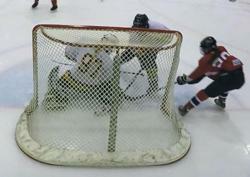 He found his greatest enjoyment photographing Jacob and Olivia as they played on their respective ice hockey teams. In lieu of flowers, please consider a donation to the college education fund for Jacob & Olivia at 2777 Yulupa Ave. Suite 321 Santa Rosa, CA 95405-8584. 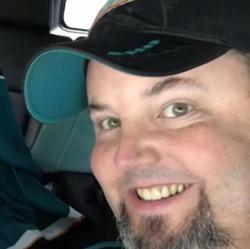 In memory of Chris’ love for Ferrari/Formula One Racing and the San Jose Sharks, wear either red or teal blue to his Celebration of Life on Sunday, May 20 from 12:00 to 3:00 p.m. at the home of Steve & Jene Waud, 6594 Birch Ave., Santa Rosa. Send a memory or photo via email to: amywaudreiter@gmail.com. Chris’ burial will be private. A special thank you to all of the staff at Regional Medical Center, San Jose. With their assistance, we were able to have an additional 12 precious days with Chris before he passed. Chris's Celebration of Life is open to all who would like to drop-in.